Our little plumber friend seems to have it all figured out, doesn’t he? Smash this brick, jump on this turtle, snag that coin. He’s never bored and he never gets discouraged. “But that’s easy,” you might say. “He’s got to rescue Princess Peach! That’s all the motivation he needs!” And sure, that’s true. The same could be said for Samus Aran and her drive to kill the Mother Brain (though in this case she’s a bounty hunter so there’s certainly some fame and glory to be had). But how about The Vault Dweller or the Dragonborne after their respective main stories are completed? Why do they… why do WE keep going? The answer is really pretty simple: our brains have been hacked. But here’s the good news: you can hack your OWN brain for your own good! 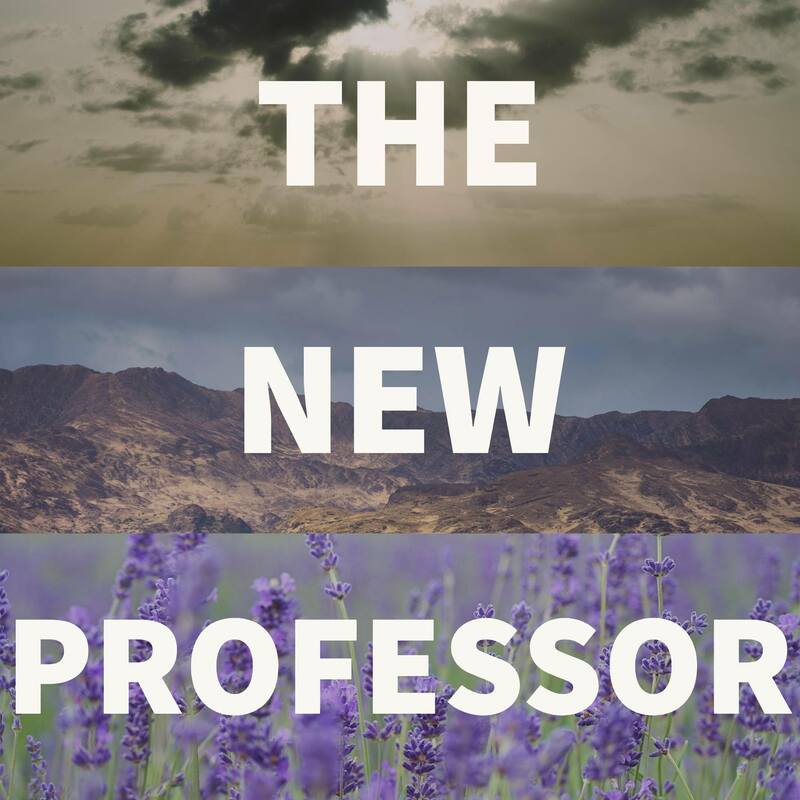 Today on the New Professor we’re looking at motivation and gamifying your life. For some of us it’s finals week. For others it’s midterms. For those outside our UA community it’s possibly neither of those things. But soon it will be. It’s inevitable. You may be asking yourself what some video game characters has to do with finals week. It’s quite simple, really: it’s all about motivation. Specifically, how to maintain it when you find yourself buried or falling behind. There are essentially two types of motivation: intrinsic and extrinsic motivation. Intrinsic motivation is that which comes from within. That is, it’s the kind of motivation you experience when you simply enjoy doing something, like a sport or playing along with Jeopardy. There’s no reward for accomplishing the task beyond the accomplishment, itself. Extrinsic motivation on the other hand relies on some sort of external reward (or, on the flip side, that by accomplishing a task you can avoid something bad happening and that is the reward). Do you run because you just love running or because you want to win medals? That is, at its core, the difference between the two, respectively. It’s relatively, generally accepted that intrinsic motivation is the most effective and the most likely to persist. Having said that, sometimes… it’s just not there. Sometimes you know you need to do something but the intrinsic motivation is just lacking and there’s possibly no or not enough extrinsic motivation to get you moving, either, whether it’s just not a priority or that the negative impact of not doing something are minor enough that… well, you just don’t really care. Sound familiar? Especially at a time like this when all your professors seemingly have gotten together and decided to make everything in their classes due on the same day, motivation to push through and keep working is paramount. That’s where gamification comes in. So why is it so easy to keep Mario motivated? Because it’s not him that’s motivated; it’s you. You want to continue the story. You want to finish the level. You want to collect all the coins. You want to beat your high score or fastest time. When you have a goal like that it’s easy to keep up some task that may be repetitive or difficult or lengthy. Any new Dark Souls player will tell you: pushing through the frustration is absolutely key to accomplishing your goal. But it doesn’t take just sheer willpower. There are ways to get around that and, as I alluded to in the opening, more or less hack your brain to make it easier. One way to do this is called gamification. At its core, gamification is simply the implementation of game-like mechanics or rules to situations or tasks that aren’t inherently game-like. This can be anything from pretty obvious gamification like thinking of yourself as a level 19 Human and choosing how to quote-unquote “level up” to sneaky, less obvious methods like loyalty cards at Starbucks. So let’s look at some ways of injecting some of this fun brain hacking into your own life. Oh, and each of the topics I’m going to talk about are linked in the show notes, so if you want to get started with them, there you go. Habitica is a video game to help you improve real life habits. It “gamifies” your life by turning all your tasks (habits, dailies, and to-dos) into little monsters you have to conquer. The better you are at this, the more you progress in the game. If you slip up in life, your character starts backsliding in the game. The best part is that it’s meant to be social. You can create parties to work with your friends, even join in against boss fights. These are expert-level motivation, though, as when a single person in the group misses a daily task the entire party is punished. Yikes. I’ll even put a link to my own character in the show notes so you can connect with me if you like. SuperBetter is a game you play in your real life–we just help you keep track of it. You can sign up and tell us what challenge you’re trying to tackle, and we’ll recommend Power-ups to help you feel better, Bad Guys to watch out for, and Quests you can do to get closer to your goals. Each time you complete a Quest, activate a Power-up, or battle a Bad Guy, just log into SuperBetter and push the “I DID THIS!” button to record your action. This will increase your personal resilience in real life and also move you forward in the tool. There’s even a version of SuperBetter for use at work (in case you struggle with motivation there, too). At first blush it may not sound much different from Habitica but, I assure you, while they sound similar they are in fact worlds apart. Let’s say you want to level up your character. Literally. Like… you as an actual human person. NerdFitness is a long-running online community that focuses on … well, just what it sounds like. While I don’t want to get into issues surrounding the penchant for the Paleo diet the founder and many of its members espouse, diet is a major focus on the site. Beyond that, it’s the community that is key. The forum (referred to as the NerdFitness Rebellion) is a place for folks to gather who want to improve their lives, be it their general health, body composition, focus, creativity, balance, or any combination thereof. And when I say “level up their character” I mean that quite literally. They choose their own stats (strength, charisma, constitution, et cetera) and do things to improve the areas they feel are lacking. Want to increase your intelligence stat? Work toward learning a new language or take an online course. Constitution? Go rucksacking. While the site no longer focuses on this, it’s certainly still welcome for anyone who wants to work that way. Gamification is not to be confused with game-based learning, which is what happens when you play Code Combat or Number Munchers, for example. In this case it’s the actual playing of the game that is informative. So while they’re similar, they’re actually different things. So when you feel your motivation flagging a bit as the semester winds down or is really just amping up, consider taking a page from our little plumber friend’s book and try gamifying your day. You just might like it. Oh, and if you have kids it’s a great way to get them to do their chores. Good luck and I’ll see you next time.